The advanced 1050 board is compatible with all Nice Apollo 12 VDC and 24 VDC products. This board co.. This is the same entry level Apollo control board that has been around for 20+ years. Apollo discont.. 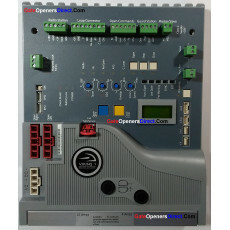 This circuit board is for DoorKing models 1601, 1602 and 1603 barrier gate operators.Pleas.. This circuit board is for DoorKing models 6002, 6003, 6004 and 6400***Important Note:.. 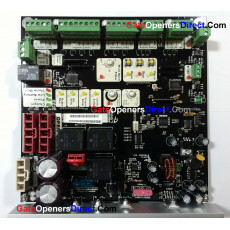 Discontinued Board: Manufacturer says to replace with Apollo 636 Control Board.. Discontinued Board: Manufacturer says to replace with Nice Apollo Control Board 936 1st .. Discontinued Board: Manufacturer says to replace with Nice Apollo Control Board 9361st generati.. The Ramset intelligate control board was designed to work in all Ramset model operators.It is a stat.. The Viking F-1 Replacement Control Board works only on the Viking F-1 Swing Gate Operator. This..